The greatest challenge that any chief or sheriff faces when deciding to equip his or her officers with night vision is how to justify the cost. No doubt the powers that be—meaning the bean counters—will see NV gear as exotic and expensive toys with little or no use in everyday police work. Nothing could be further from the truth. While NV stuff can be pricey; it can also quite literally be a life-saver. Let's take a quick look at some examples of how night vision equipment has made a difference in a variety of law enforcement operations. During the first weeks following Hurricane Katrina's strike on New Orleans many areas of the city were still out of control, especially at night. The Gentilly district was rough before the storm and now was completely cut off from the world. maritime component were dispatched into the center of Gentilly for a midnight rescue of eight trapped and terrified survivors. A local university was torched and burning that night only about a mile away and signs of heavy looting were everywhere. The SWAT deputies realized that if they used white light during the operation they would expose themselves to potential sniper fire. Fortunately, they had recently been issued new helmet-mounted ITT PVS-14 monoculars. Using the PVS-14s, the team was able to locate and extract the grateful survivors. As a result of this successful operation, all of the operators on the entire team have now been equipped and trained with ITT Night Vision equipment. Notably, the entire team recently passed the SWAT firearms qualification course in total darkness, using only ITT helmet-mounted night vision and M-4 mounted IR lasers. Some time ago, the St. Peters (Mo.) Police Department was notified that a female shoplifter was stealing products used to make crystal methamphetamine from a local store. When the store security guard confronted the woman, her male partner, who was waiting in the parking lot, drove the getaway vehicle into the guard. The guard was pinned against the wall of the store and killed. The woman jumped into the truck, and they drove off, resulting in a chase through several neighborhoods. The fleeing driver lost control and crashed through a fence and drove into a swimming pool. The female was caught after a short chase, but the male ran off though the subdivision. After numerous officers and K-9 units could not locate the male suspect an officer from the nearby O'Fallon (Mo.) Police Department was called in to search using only night vision goggles to navigate. "After about 30 minutes I was walking slowly through a yard when I observed the suspect hiding in a bed of flowers," the officer said. "Due to the fact that he could not see me, I was able to walk up directly behind him. 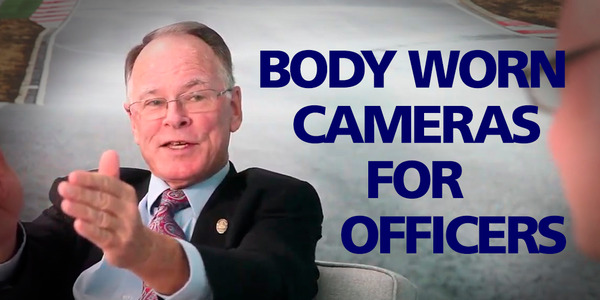 He was taken into custody before he could run again." Both suspects pleaded guilty to second degree murder. "Had it not been for my use of night vision equipment, I am sure that the suspect would have eluded the police that evening." Most burglars will operate until caught, committing hundreds of crimes and victimizing thousands of citizens. Recently, a highly skilled serial night burglar working a Texas city even managed to pick the lock of a "bait house" and get away because the officers and detectives staking out the house were unable to see him in the dark. However, the officers turned the tables on the perp a few nights later at another bait house. This time, as before, officers using only their naked eyes couldn't track the suspect's approach because he stayed in shadows and used trees and bushes for concealment. But an officer with a night vision unit quietly radioed, "I've got him. He's just stopped moving and is in the shadows next to the house." The NVG-equipped officer never lost sight of him as he crept through an open garage door. He was arrested at gunpoint and eventually sentenced to 25 years after being tied to more than 500 residential burglaries. In South Dakota a sheriff's office received a complaint from a woman who felt she was being watched at night while she was home alone. With her knowledge, a deputy with night vision goggles was assigned to observe the approaches to her house. The first night, the deputy spotted a suspect coming toward the house. From the driveway, the subject checked to ensure that no one was watching, then moved to a position at the woman's window. While the peeping perp focused on trying to violate the woman's privacy, the deputy walked right up to him. "He had no idea anyone else was out there," the deputy said later. The offender "almost died of fright" when the lawman identified himself and placed the astonished man under arrest. OK. That's an exaggeration, but NV gear can be an invaluable tool whether it's used in a patrol car in a small town in Minnesota or in a Border Patrol chopper skimming over the Arizona desert. 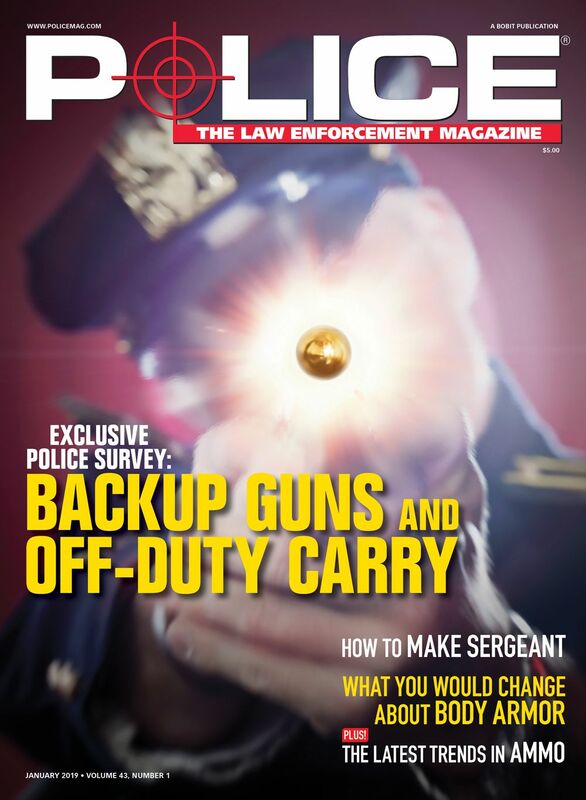 "Patrol officers only need to get this equipment into their hands and see what it can do for them," says former police chief Tom Dugan who now works as law enforcement projects coordinator for ITT Night Vision, the leading manufacturer of the most advanced generation of image intensifier technology. "Once they see the rewards, they fight to get more." Patrolling disaster areas or after a catastrophic event where prolonged power outages have left areas without lights and have brought the "roaches" out of the woodwork. During search-and-rescue assignments, particularly in rugged or wooded areas where darkness may otherwise force a halt to the life-saving activity. Foot pursuits, to identify otherwise obscured hazards like tree limbs, clotheslines, stumps, breaks in pavement that could trip, bump, or blind an unknowing officer. Approaching domestic disturbances calls and other potentially unstable situations, especially in remote rural areas where NVG can help give the officers situational control. While on patrol of public property such as parks and schoolyards or abandoned structures where you may need to monitor people and surroundings before approaching. Rolling up to suspected gang or narcotics scenes that you'd prefer to have scanned for known suspects and possible weapons before contact. OK, we've covered why you need night vision equipment, now it's time to look at what you need and how to get it. The first thing you need to know about night vision is how it works. This is how it works: It magnifies available light such as star light—hence the term "starlight scope" back in the Vietnam days. How it does this is the subject of a related story on this page. But what you need to understand about this is that night vision will not work in a totally dark area. There has to be some light source, no matter how faint, for the tube to do its magic. Finally, it's important that you realize that night vision gear is an optical system, not some magical technology. And because it is an optical system, you should judge it accordingly. The key concerns about a night vision device—other than form factor and that it does what you need it to do—are light magnification capability and resolution. The resolution of an image intensifier tube, the sharpness of its image at a given range, is expressed in line pairs per millimeter (lp/mm). Higher numbers reflect better resolution. In the real world, better resolution means you can determine the difference between a pool cue and a rifle when doing so is critical to your mission. Another spec that you need to look at when shopping for NV gear is the magnification. This tells you how much the tube magnifies. Gen 3 tubes intensify existing light approximately 40,000 times the power of the original source. Finally, different jobs require different capability. You may be able to save some money by using Generation 2 equipment for some applications. Generation 3 tubes last a lot longer and have better resolution, but the price differential is high. SuperVision digital system), the night vision element was produced by ITT, who makes money on the deal and therefore doesn't discourage competition on features and price from companies that either distribute ITT's product line under their own brand or use ITT tubes in their own lines of monoculars, binoculars, sights, and surveillance systems. Let's take a look at some of the offerings from these companies, and let's start with ITT itself. While resolution varies slightly from tube to tube, ITT night vision tubes can have as much as three times the resolution of various Gen 3 competitors. That explains why the company has a virtual stranglehold on the U.S. military night vision market. ITT's PVS-14 monocular is the world's most popular night vision device. One of the reasons for its popularity is its versatility. The PVS-14 can be used as a handheld unit, mounted on a helmet or weapon, or attached to a camera for recording or transmission. Features include variable gain control. In addition to the ubiquitous PVS-14, ITT makes a wide variety of binoculars, weapon sights, and even systems for aviation applications. Formerly known as LAMSA or LAMSA Weapons Systems, Adams Industries sells night vision gear to law enforcement and military customers. The family owned company says on its Website that it does it all for the men and women who protect freedom and "keep the wolves away from the door." Adams sells a wide variety of monoculars, binoculars, and weapons-mounted devices with Gen 2 or Gen 3 tubes. Its latest PVS-14 monocular offers a greater than 64 lp/mm resolution Gen 3 tube and features manual gain adjustment. N-Vision Optics is a distributor of tactical night vision equipment such as ITT's PVS-14 in addition to being a manufacturer of high-quality products, including Gen 3 and Gen 2 monoculars, binoculars, and weapon sights. Two of N-Vision Optics' most popular products are the GT-14 Night Vision Monocular and the GT-22 Night Vision Weapon Sight. Both devices are manufactured by N-Vision using ITT Gen 3 image intensifier tubes. The GT-14 monocular features an innovative ergonomic design that enhances user comfort when operating the device with one hand. It can also be helmet mounted. 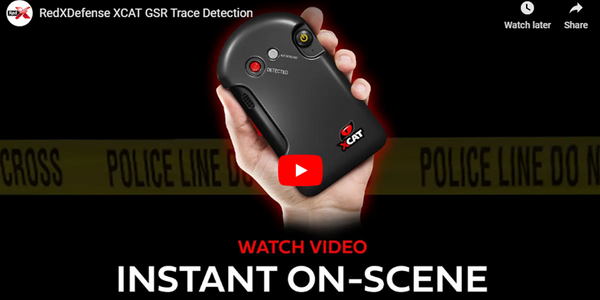 The lightweight system runs on one CR-123 battery and features a built-in infrared illuminator so that you can read maps and make equipment repairs in total darkness. N-Vision's GT-22 Night Vision Weapons Sight is designed for use with daytime weapons optics. It easily mounts on any Picatinny rail and offers 100-percent image coverage through most scopes. 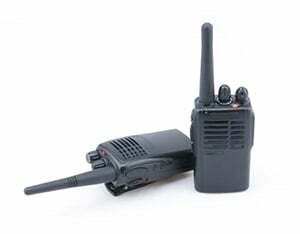 The GT-22 is powered by one or two standard AA batteries and offers excellent tactical power management. One of its best features is a centrally located push-to-turn power control switch. An ITT Night Enforcer master distributor, NVS sells a complete line of Gen 3 PVS-7 and PVS-14 optics. In addition, the company makes three clip-on night vision rifle sights: M810, M820, and M830. All of the sights feature Gen 3 tubes and offer half MOA boresight retention. The recognition range for a man-size target is 250 meters for the M830, 500 meters for the M810, and 800 meters for the M820. They range in weight from less than 1.25 pounds to 3.19 pounds. Founded in 1991, Sensor Technology specializes in the design and manufacture of low-profile night vision goggles. Its flagship product is the AN/PVS-21 low-profile NVG. The goggle looks like that thing the optometrist uses to test your vision when he says, "Which is sharper? One? Or two?" But it's a state-of-the-art Gen 3 night vision system. The idea behind the low-profile goggles is that this design allows an operator to move more quickly and more aggressively than standard monocular and binocular systems. It also has a better center of gravity than larger systems, which means it offers greater comfort if you have to wear the thing for more than an hour or so. The Sensor Tech PVS-21 weighs only 760 grams and offers a 40-degree field of view. Southern Precision Armory (SPA) is the exclusive U.S. supplier of SIMRAD Optronics. The SIMRAD KN203FAB-MARK IV and KN253FAB-MARK IV Night Vision Systems are "clip-on" image intensifier devices that attach to existing day optics, including spotting scopes, rifle scopes, and laser rangefinders. All of the SIMRAD models feature ITT tubes. The SIMRAD KN203FAB-MARK IV and KN253FAB-MARK IV Night Vision Systems are commercially available. Gen 3 systems like the SIMRAD KN203FAB and KN253FAB are only offered to law enforcement and military customers. Produced by Xenonics Holdings, SuperVision is a very different kind of night vision device. You won't see a reference to Gen 2 or Gen 3 tubes when you look at the specs of the SuperVision. It's digital, and it uses a CCD like you would find in a digital camera or scanner rather than an image intensifying tube. The image is captured in pixels and viewed on a high-resolution display. SuperVision has a suggested retail price of $1,399, considerably lower than a Gen 3 monocular. Second, they don't wear out as quickly as image intensifier tubes. Xenonics says SuperVision offers comparable performance to Gen 3 night vision. The system features 1280x768 resolution, a 2- to 8X zoom, and a field of view of 525 feet at 1,000 yards. Overall, the main reason that every LEO does not have NV gear is the cost. Fortunately, many companies have programs to assist you in obtaining funding. ITT's Grant Assistance Program offers free grant writing assistance from a certified grant writer who works with public safety agencies to simplify the grant process. ITT and the other manufacturers will also help you secure funding from Homeland Security. There can be few better uses of Homeland Security grants than to purchase NV gear for your agency or unit. Owning the night will make you safer and help you deliver some really nasty surprises to the bad guys. André M. Dall'au is a former U.S. Air Force pilot and a freelance writer and videographer whose work on the U.S. Navy SEALs has been aired on The History Channel. Generation 0 The earliest Gen 0 technology (1950s) was based on image conversion rather than intensification and depended on a nearby infrared light source to illuminate the target area. The IR light (photons) was converted to electrons, focused through a cone-shaped device (anode) and accelerated so they hit the phosphor screen with greater energy, creating the visible image. Unfortunately, accelerating the electrons in this manner caused distortion in the image and decreased the tube's life. Generation 1 Gen 1 units were able to operate at lower light levels by use of three image intensifier tubes in series. These bulky devices became known as "starlight scopes" first used in combat during the Vietnam War. Although the image was clear at the center, Gen 1 has problems with distortion around the edges and suffered from short-lived intensifier tubes. Note: Imported night vision viewers usually use Gen 1 image intensifiers although they may be advertised as Gen 2. Generation 3 Gen 3 is the most sophisticated night vision technology available. The photocathode is coated with sensitive gallium arsenide, which allows for a more efficient conversion of light to electrical energy at extremely low levels of light. Another improvement was the use of ion-barrier film on the MCP that increased the operational life of the tube from 2,000 hours (Gen 2) to 10,000 hours. Gen 3 is able to sharply view objects at greater distance using less ambient light with minimal distortion compared to all previous generations. Limitations for sale: All Gen 3 products sold internationally require an export license from the U.S. Department of State, Office of Defense Trade Controls, in accordance with International Traffic in Arms (ITAR), Title 22, Code of Federal Regulation..
Generation 4 Gen 4 was based on a "filmless" technology that failed, and simply does not exist for operational use at this time. Colors and shading may be misleading. Objects that appear light in normal light but have a dull surface may appear darker through the NVD than objects that are dark but have a highly reflective surface. For example, a shiny dark colored jacket may appear brighter than a light colored jacket with a dull surface. NVDs do not present normal depth perception. As a consequence, traversing terrain or operating vehicles takes practice and requires recognition that you might not have all of your usual senses, including peripheral vision, to rely on for balance and obstacle avoidance. A thin fog or minor smoke cloud may prevent clear vision with NVD. Night vision is very responsive to reflective ambient light; therefore, the light reflecting off of fog or heavy rain causes much more light to go toward the night vision unit and may degrade its performance. There is a faint hexagonal pattern present. This is the result of the manufacturing process. A few black spots throughout the image area also are inherent characteristics of current night vision technology. These spots will remain constant and should not increase in size or number.